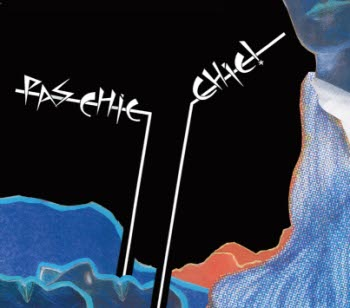 At points, Pas Chic Chic invoke a French Elvis Costello from his early years, and there is an overwhelming amount of trippy harpsichord employed beneath heavy use of swirling guitars. The mixture of all of these seemingly contrasting styles is perhaps the reason that the album is titled Au Contraire. The aforementioned opener “Haute Infidelite” starts out slow and builds into a glittery guitar haze, but the drowsy “Aude aux Ondes” builds but never goes anywhere. The bold instrumental moves of “Vous Comprenez Pourquoi” (“You Understand Why”) are in contrast to the simplicity of the lyrics, which involve the repetition of the same two lines over and over again. While my knowledge of French is rudimentary at best, it isn’t hard to grasp that the whole album reeks of irony. The is exemplified in “En Chance et en Vogue.” None of the lyrics make much sense when translated, but everything is sung with the most earnest of intentions. Overall, the album is quite upbeat. There are some hits and some misses, and the slower tracks drag along without much excitement, but it’s pretty consistently noisy and happy. It’s passionate, and the musicianship is solid. It’s hard to resent the fact that it doesn’t make too much sense, because it is just plain ole’ fun. Put it on at a party to sound sophisticated, or enjoy it alone with some red wine and a beret.